You have a greater purpose in the world. You are designed for something unique and special in the world. Your greater destiny is not dependent upon your goals, wishes and desires. You may give your life to things of little value and consequence, but you can always return to Knowledge, which never leaves you, though you may leave it. 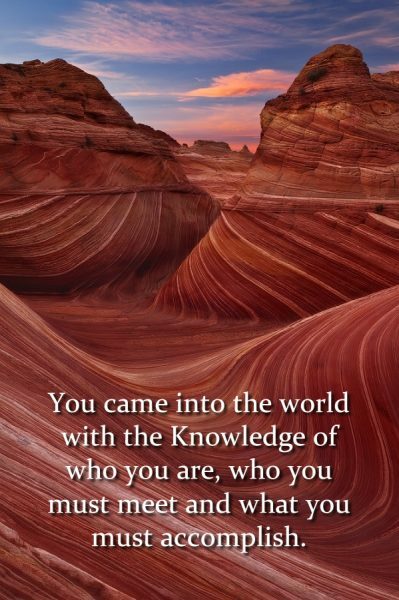 You do not have to become someone else to be who you really are or to do what you came here to do. Your greater journey will require relationships of a very high caliber and will restrain you from giving your life away to others who cannot go where you are going. Your greater purpose will require real self-honesty and a recognition of all the things that you are not, or cannot be, and should not follow. There are people out there waiting to meet you. They are very important people in your life. The Creator has a greater Plan and you have a part to play in it. 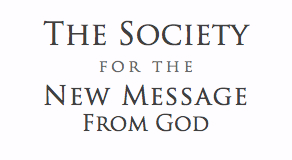 Begin to find your good fortune and take the Steps to Knowledge – Free download! Steps to Knowledge gave me the way to get my life back. At last I had something that showed me how to get to where all the other books could only talk about. This book (Steps) is important. I see that it has the power to inspire a revolution in thinking and in being… a leaderless revolution where everyone is called to what they Know for the world and for themselves. 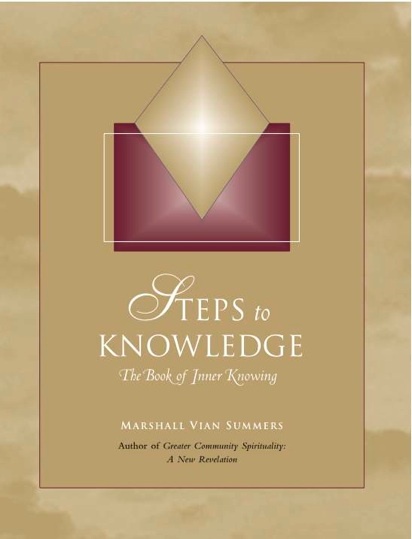 Steps to Knowledge, A gift from the Creator that leads you to your good fortune.